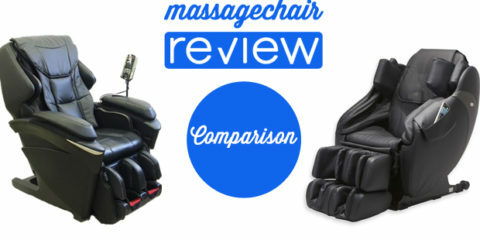 Today, we will be comparing the Osaki OS-4000 and the Osaki OS-6000 massage chairs. 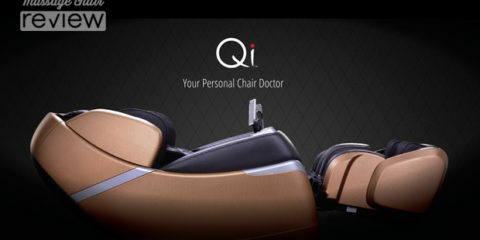 The Osaki OS-4000 and OS-6000 are very popular chairs. 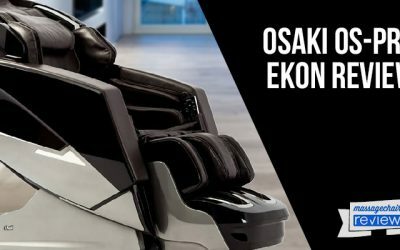 The Osaki OS-4000 has been around for a few years and is has been one of the best selling massage chairs on the market, and the OS-6000 was released earlier this year and has quickly become a best seller too. 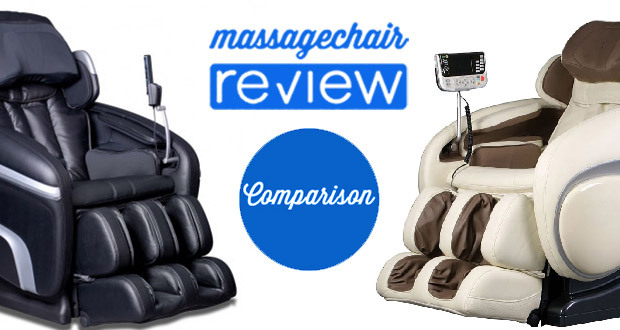 Lets take a closer look at the Osaki OS-4000 vs Osaki OS-6000 Massage Chair Comparison. NOTE: The Osaki OS-6000 is no longer available and was replaced by the Osaki OS-7200H. 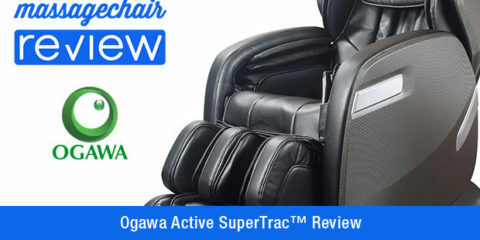 The Osaki OS-4000 and Osaki OS-6000 are very similar chairs, and as they should be. The Osaki OS-6000 was based on the design and technology of the OS-4000. So basically, the OS-6000 is an upgraded OS-4000. 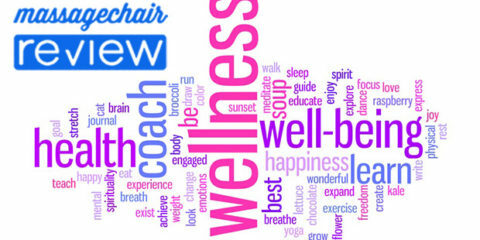 Both of these massage chairs are loaded with many advanced features. 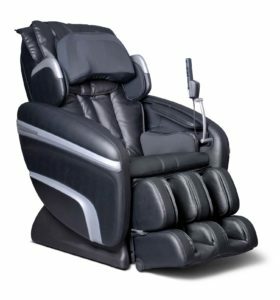 The Osaki OS-4000 and Osaki OS-6000 both have advanced infrared body scan, extra soft quad rollers, s-track design, a large selection of automatic and manual massage modes, strength and intensity settings, extensive air bag massage, and zero gravity recline. The Osaki OS-4000 and Osaki OS-6000 both have advanced body scanning. 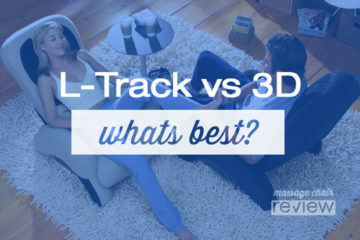 This is a feature that uses optical scanners that roll up and down your spine, measuring the width of your body and scale of the massage areas to match your exact size and shape. There are five levels of strength and intensity on both the Osaki OS-4000 and Osaki OS-6000. This lets the user control just how vigorously or lightly you wish to be soothed. 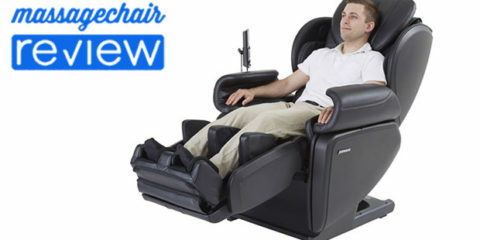 This has become a very popular feature on massage chairs over the last couple of years. This is where the massage chairs is fitted with many air bag cells that inflate to provide a compression massage. Both the Osaki OS-4000 and Osaki OS-6000 have really extensive air bag systems. The OS-4000 is fitted with 48 air bags, and the OS-6000 has 51. This is absolutely one of the best features of these two massage chairs. The zero gravity position is a position created by NASA and used by astronauts. This is position where you’re reclined at about 170 degrees and the seat is raised 30 degrees – your legs should be elevated above you heart. This puts you in a state of complete weightlessness and relaxation – perfect for a full body massage. The main difference of the Osaki OS-6000 and OS-4000 are the rollers. The OS-6000 has upgraded 3D roller technology. This means that the rollers go up and down and side to side, as well as in and out. 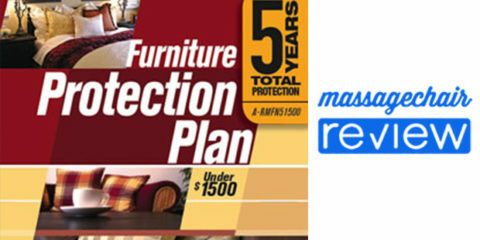 This provides a deeper and stronger massage. The Osaki OS-4000 has 2D rollers, this means that the rollers just go up and down and side to side. So, basically the OS-6000 has a stronger massage. The Osaki OS-4000 has a 30” roller stroke, and the OS-6000 has a 31” roller stroke. The 31” roller stroke is one of the longest roller stroke on any massage chair today. The roller stroke is very important because this allows for a longer massage range. The longer the stroke the further up and down the back the rollers can go. Both the OS-4000 and OS-6000 can massage from the neck all the way to the tailbone. The Osaki OS-6000 has an adjustable shoulder massage that adjusts to the height of the user, and the Osaki OS-4000 does not. These are the shoulder massagers that you see to the sides of the shoulders. This is a great feature and definitely an upgrade to the OS-4000. The Osaki OS-4000 has heat in the lower lumbar area. The Osaki OS-6000 does not have a heating element. However, Osaki will be releasing a model similar to the Osaki OS-6000 later this summer. 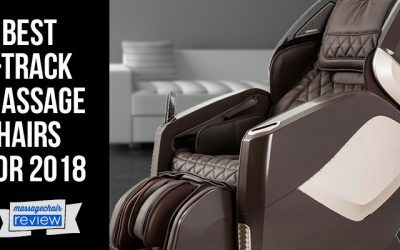 This massage chair will be called the Osaki 7200H. Another difference between the two massage chairs is the music system. The Osaki OS-4000 does not have music capability and the Osaki OS-6000 does. The Osaki OS-6000 comes with an attachment that you can plug you most music devices into. The music is then played through two high quality speakers build into the shoulder massagers. The music can also be synced with the vibration massage. This is definitely a nice feature, and it’s very easy to use. This is the strip of blue light that you see on the sides of the Osaki OS-6000. This is a newer feature that I have only seen on a couple of massage chairs. Both the Osaki OS-6000 and the Osaki OS-7000 have this feature, but the OS-4000 does not. So, what is Chromotherapy? This is a type of therapy that uses light in the form of color to balance the energy wherever a person may be lacking. This could be physical, emotional, spiritual or mental levels. Then there is the price. The Osaki OS-4000 price is $2,895, and the Osaki OS-6000 price is $3,495. 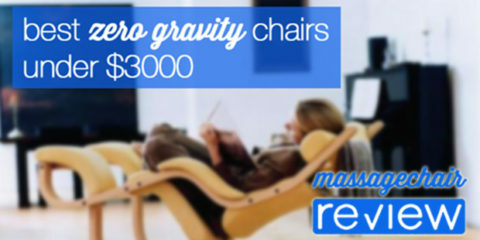 To get an even better price, check out emassagechair.com. They always have coupons and sales on all the Osaki Massage Chairs. 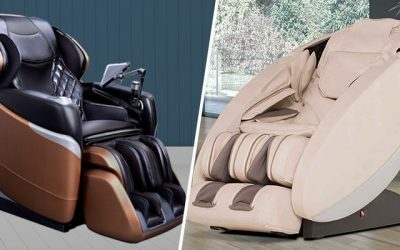 The Osaki OS-4000 vs Osaki OS-6000 are both great massage chairs to consider. 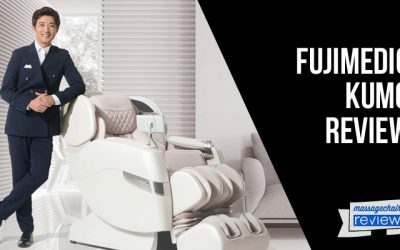 If you’re looking for an affordable massage chair, and your budget is under $3,000, then the Osaki OS-4000 is one of the best deals on the market. If your budget is a little higher then I would definitely suggest taking a look at Osaki OS-6000 over the OS-4000. The OS-6000 is definitely worth the extra money. 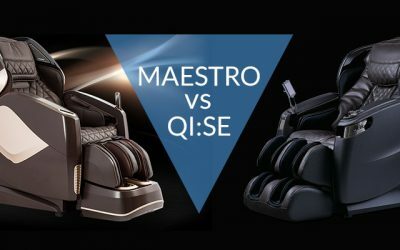 If you would like to buy or learn more about the Osaki OS-4000 massage chair or Osaki OS-6000, then visit our preferred partner at Emassagechair.com.